Let me start by appreciating you for visiting my blog and more importantly for choosing to pick your copy of my new book “There was a girl”. This means a lot to me!!!! Thank you!!! 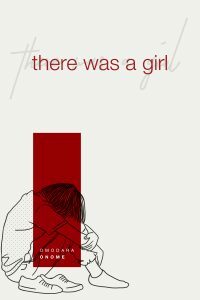 I want to specially introduce you to this book “THERE WAS A GIRL”. It is a story of the girl I was and how I encountered grace. The truth is we all have stories and writing this book is not as exciting as I thought it was going to be, it took an unusual grace and total surrender to write this story in its raw form. This is a part of my story, it is basically the story of how I battled with a self-esteem and depression as a young lady. There were days that the only thing I thought about was suicide, I have had to wonder if God was really alive but I am a proof that God is alive and His love will always find you just like it found me and pulled me out. Nobody wants to be the odd one, nobody wants to be treated like a chaff and that is not even God’s plan for any one of us, he wants us to shine so that in turn we glorify Him. I do know what it feels like to be that odd person, to be talented yet unnoticed but I want to tell you that it’s not over and you don’t have to remain in the cell of depression. This book opened my eyes personally too and it brought me close to tears at some point because just like you I’m an ordinary girl who had nothing special but extra was added to my Ordinary when I discovered who I really am in Christ Jesus. I can guarantee you that it is going to be worth your time and the juicy part is that it is ABSOLUTELY FREE. I wish I could say this book was all my idea but that would be a total lie it came as inspiration and I knew right there that is what God wanted me to do this season. Thank you so much for being a part of this vision, thank you for choosing to pick up this book. I could not have done without you. Please do me a favour make sure you share this book on your social media pages and with everyone you know. People are committing suicide daily and it’s all because they couldn’t get the right help but together we can make a great impact in the world. Once again, thank you for choosing to read this book. Ready to read about the girl I was and how I found God’s love? Don’t forget to drop your review, tell me how you feel about this book. Can’t wait to read it. ? I just picked my copy and I’m yet to read. But going through this brief write up about the book, I’m glad it came my way. Onome I’ll write again to tell you how it went. Thank God for blessing humanity with the gift of you. A girl grown into an strong woman. Keep growing and impacting lives dear, lemme goan read it. I’m still reading o… They were the things I battled with from primary education. Because of the accident scare I had on my face, I lost all the self confidence. I hardly related with people in pri school but I kept being people’s favorite… They’ve always said I have head of crowd ?…so they say. So irrespective, people tag along but within myself I was always depressed. Sec school, I made more of male friends to build my confidence, anyone who asked me out then appeared to be a liar, I call it scam because I always feel there are beautiful girls out there. This made me decide not to date anyone through sec school. University days, I was on myown. I had a roommate that victimized me, Niyi of blessed memory was there with me to scale through… Himself and Damola would keep me company late at night cos of my fears for the lady. I had a bf then, I found it so hard to relate physically with him cos I felt I was ugly… I had to quit the relationship cos of talks here and there. Alot of things o but gradually I began to build my confidence and now Ehn…. I’m sure you know I am over confident now. This life is a great lesson. I’m forever grateful to my dad for pampering me when I was younger… My uncle Bisi and uncle Gbenga… I love you so so much. Even when my younger brother oppressed, they always supported me and helped my confidence. Mehn babe the book is dope. I trust your write up, I had sent to friends even before I started reading. God bless you Ehn… Don’t be lazy in writing cos at every point it’s either a life is touched or you help someone remember how they overcame a challenge.